So I wanted to create a new home for my Yellow cherrys that didnt involve them being homed with hungry angelfish. I will be adding a small Amazon Sword the the back right corner also and thinking of adding some of my Christmas moss to the branches. Weeping might be better than Christmas for growth pattern. I have some growing in my office tank and it's really nice even in low tech. Also consider crypts for the back also. What's the plant you have there? Parva? Thanks Rebel! will try keep this a low tech tank. I havent seen Weeping Moss before, ill have to look into it! These were assorted crypts, so im not sure, they were the healthiest looking ones though. I have root tabs and am using a new micro/macro fert and the crypts in this tank and my 4fter are loving it. going to throw some media from my big tank into this one and then get some shrimp into the tank. If you can breed some of them yellows, maybe I will be interested towards the end of the year. My blue shrimp have all perished. These are my cousins yellows which i get off him. Hes done well breeding them from near clear yellow. Oh and if I have them breeding like my old reds used to, then ill definitely organise some to come your way. Looking good! Looking forward to seeing the moss in. Also, some anubias petite between those lava rock will look good too. Thanks DDM going to have to try get weeping moss and give it a shot! 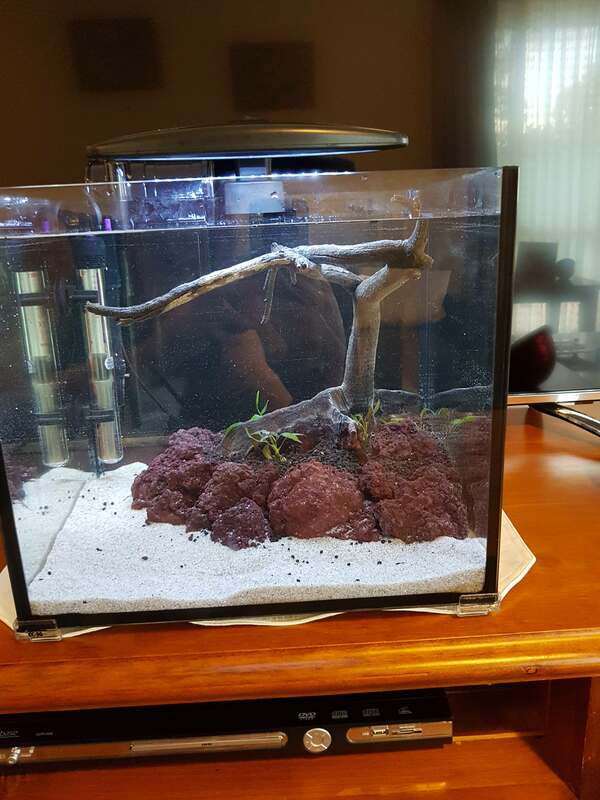 I think im going to try just have crypts and some moss to keep it nice and simple as I want this tank to be as low maintenance as possible. Ill have roughly 20 little bananas in the tank this week most likely. Have weeping moss if you are keen. Pm me. 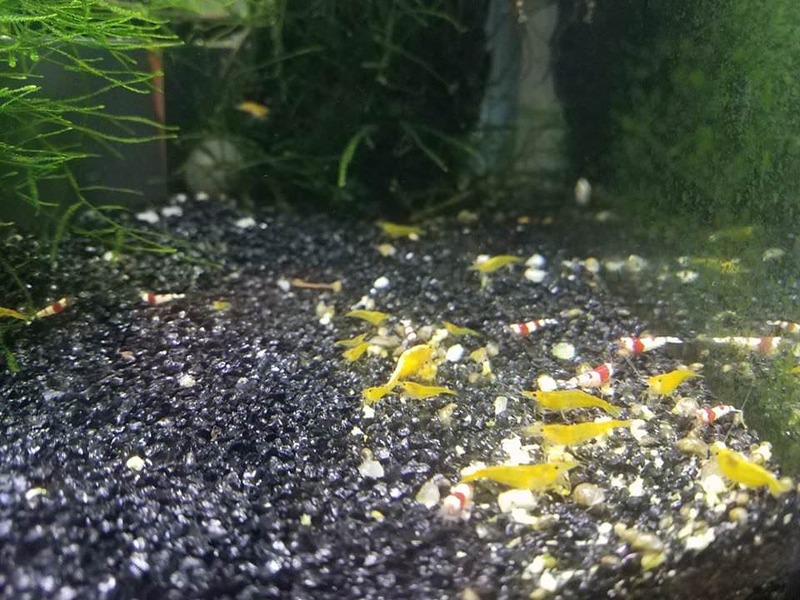 Shrimp are in, all 30 of them! Will get a picture up asap. How about some Fissiden instead of moss? Also means you wont have to trim it all the time. Hey man, im not a fan of fissiden at all hey. Some reason it just doesnt appeal to me in the slightest. 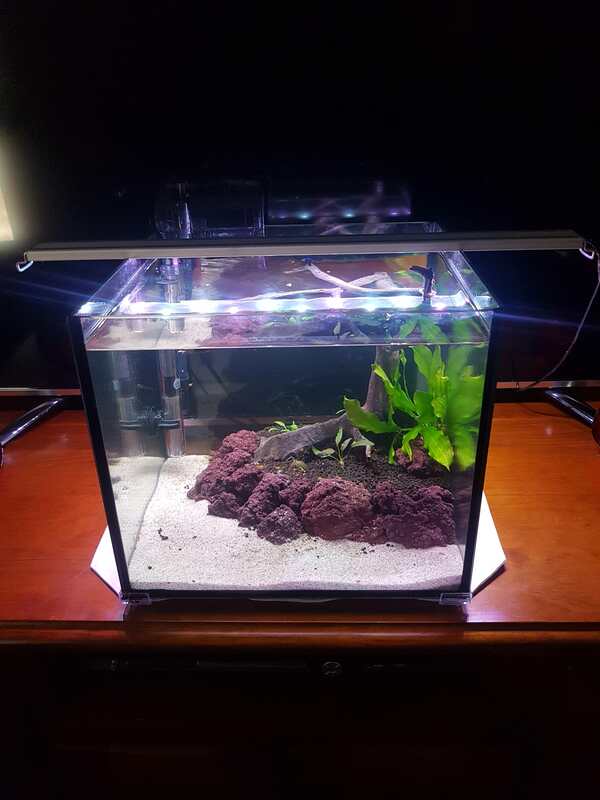 Took the 2ft LED off my big tank as it was only helping with algae and put it on the shrimp cube. It overhangs a lot, but the light level is much better! I kinda wonder if I could hack at this light in half and glue the two pieces side by side. Waste of $130 light if I stuff up though. I also noticed, this driftwood has lifted. I totally forgot that I didnt check if it floated or not.